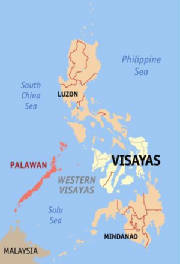 ....the Island-Province which, with its land area of 14,896.3 sq.kms, becomes the 5th largest of the 7,107 islands in the Philippine archipelago, and one of the two major islands that remains today as the last of the ecological frontiers in the country. 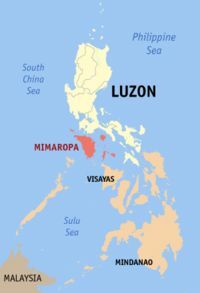 Mindoro : Land of the "Tamaraw"
With its prestine land area of some 10,244.6 sq.kms., the land mass of Mindoro Island is the 7th largest in the Philippines- and home to an endemic bovine known as the "Tamaraw"! The entire island has been politically divided into 2 separate and independent Provinces namely: Occidental Mindoro, and, Oriental Mindoro, in 1950.